Córdoba is a province of Argentina, located in the center of the country. Its capital, Córdoba, is the second largest city in the country. Neighboring provinces are (clockwise from the north): Santiago del Estero, Santa Fe, Buenos Aires, La Pampa, San Luis, La Rioja and Catamarca. Together with Santa Fe and Entre Ríos, the province is part of the economico-political association known as the Center Region. The province is divided in 26 departments (Spanish: departamentos). 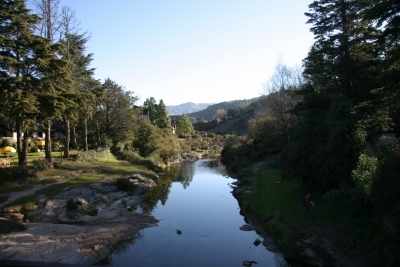 Córdoba has a total area of 165,321 square kilometers (4% of the whole country), where two morphological areas can be clearly distinguished: the sierras sector in the west and the other, basically flat, in the east, both areas accounting for the variety of ambients existing in the province. It is comprised within the temperate region, with average temperatures ranging from 30°C/86°F to 10°C/50°F, the four seasons being clearly differentiated. The main cities are, Río Cuarto, Villa Carlos Paz,Villa María, San Francisco, Jesús María, Cosquín, Alta Gracia, Río Tercero, Villa Nueva, Bell-Ville, Marcos Júarez, Arroyito.